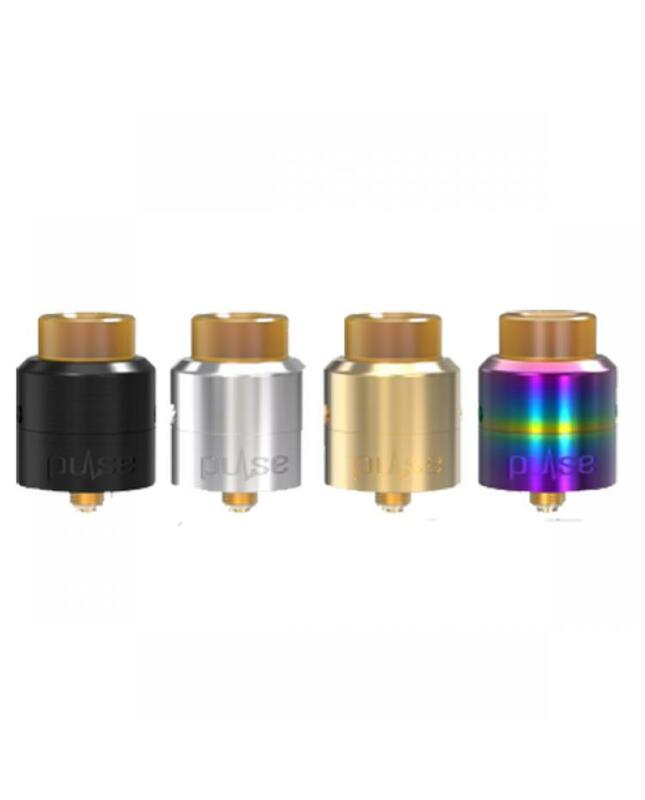 Newest vandyvape RDA pulse 24 BF, with stainless steel construction, four fashionable colors available, the new vandyvape RDA is great squonker RDA, features standard 510 pin and comes with squonk 510 pin, the squonking pin has hex design instead of slotted design, keeps juice from leaking into the 510 thread and makes good seal. 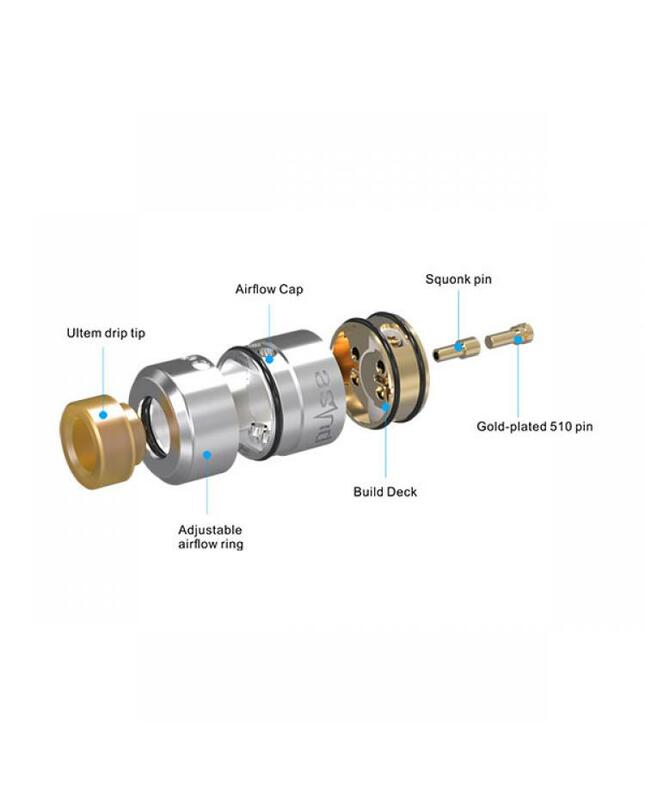 the pulse 24 BF RDA comes with dual postless building deck, the build deck is 24k gold plated and postless, coil lead holes are larger allowing for big creative builds, vapers can build single or dual coils, vapers can build the coils by yourself too, will get more DIY fun. 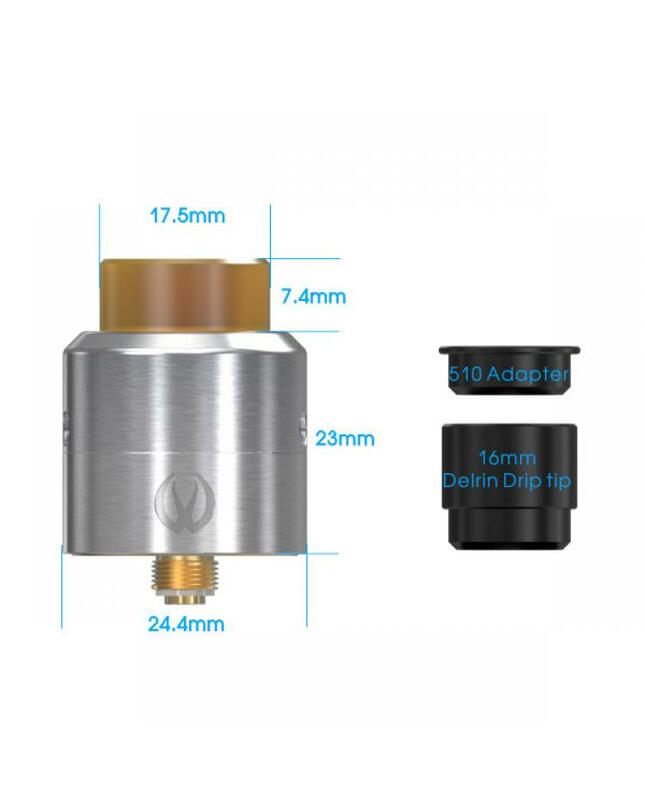 the new vandyvape RDA with improved leak resistant, don't worry about leaking. side airflow control design allows you to adjust the airflow to your preference easily. recommend works with pulse BF squonk mod.